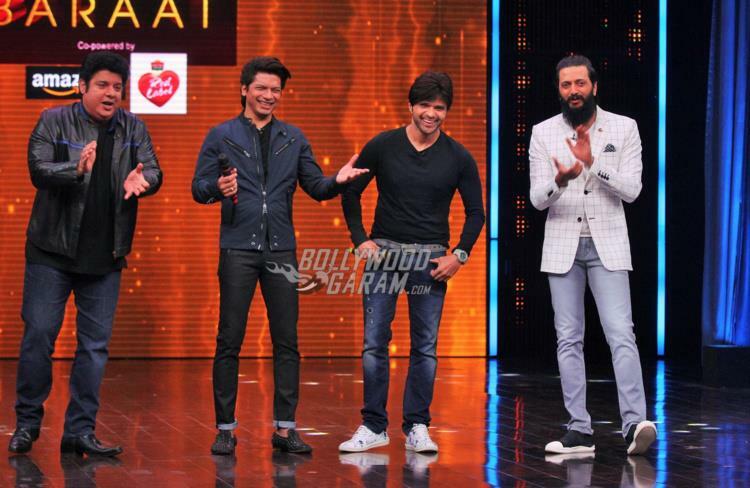 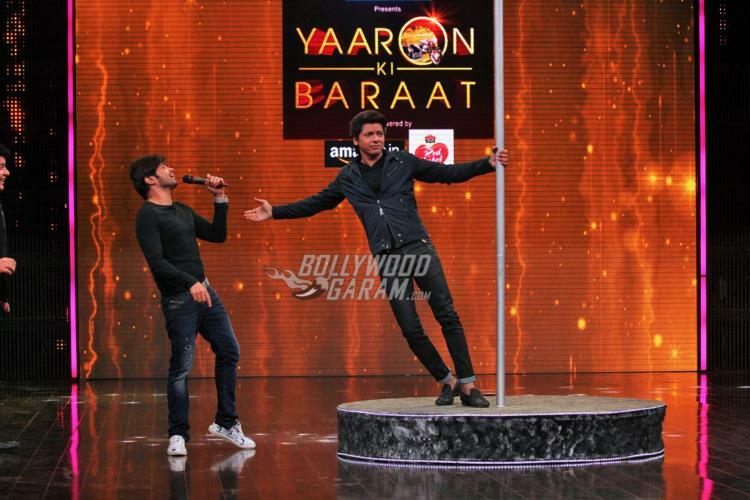 Indian singers Shaan and Himesh Reshamiya graced Sajid Khan and Riteish Deshmukh’s TV show ‘Yaadon Ki Baraat’ in Mumbai on November 24, 2016. Himesh appeared in a lean look with a black t-shirt and jeans while Shaan accompanied Himesh in a black jeans, t-shirt and a jacket. 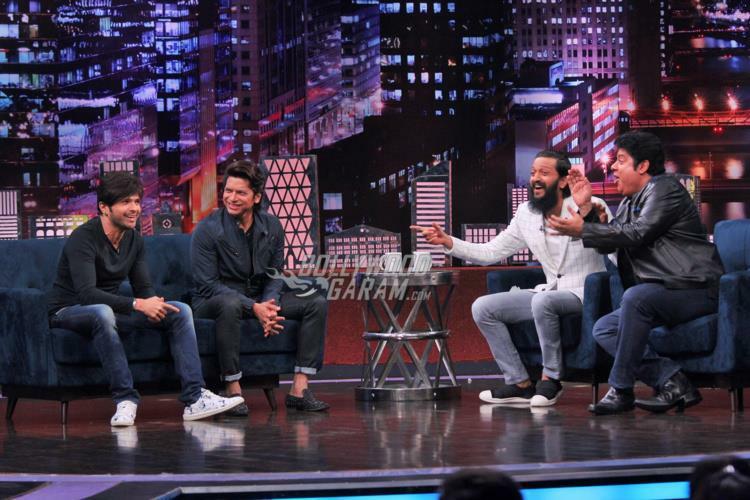 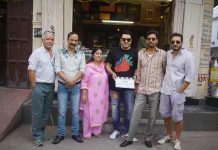 Going by the pictures, it can be seen that all four had a great time on the sets of the show and entertained the audience with several one-liners and games.